in a concise and readable manner. We forget how important this knowledge is and often we forget how effective and useful we can be”………. 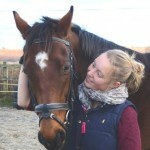 …..”It has given me a new confidence in my skills with Equine First Aid. I really enjoyed the resources, in particular I found the lameness training resource really useful and a fun tool to aid in diagnosing lameness as I do struggle sometimes with identifying the leg. !